International trips by Muslims have experienced high growth rates over the last decade, says research by ITB Berlin and IPK International, also citing city breaks and shopping as particularly favoured holidays by this segment. Muslims are the world’s fastest-growing religious group and by 2030 will make up an estimated 25 per cent of the world’s population. In some Muslim-dominated markets there is a thriving middle class with growing buying power and a new consumer behaviour. One effect has been an increase of international trips undertaken by Muslims. To analyse their travel behaviour, ITB Berlin commissioned IPK International to conduct a special evaluation of the World Travel Monitor. In some aspects, Muslim travel behaviour differs significantly from other groups. City breaks are more popular than sun and beach holidays for instance, and shopping is more important than visiting museums. Increasingly, customers also want to be able to observe their religious customs. A touristic offer that caters to Muslims’ needs represents both a challenge and an opportunity for the travel industry. According to Fazal Bahardeen, managing director of CrescentRating, the world’s leading expert on halal travel, the difference lies in specific shared values among Muslims that are much stronger than among other communities, regardless of their nationality. Whereas many associate halal merely with the way food is prepared, it actually refers to everything that conforms to traditional Islamic law. For the travel industry that means fulfilling certain faith-based needs of Muslim travellers. This includes preparing food according to halal rules, adapting meal times during Ramadan, offering prayer facilities in hotels, providing separate swimming pools for men and women and offering entertainment that caters towards Muslims. Currently, the most interesting source markets regarding the demand of international halal travel are Indonesia, India, Turkey, Malaysia and the Arab countries. According to IPK’s World Travel Monitor, source markets with a predominantly Islamic population showed growth rates that were 40 per cent higher in the past five years compared to the rest of the world. Strong growth is also predicted for the years ahead. Thus, halal travel offers huge growth potential for destinations around the world. Religious trips and pilgrimages in particular play a much greater role and make up ten per cent of foreign trips – which is ten times higher compared to the rest of the world with only one per cent market share. 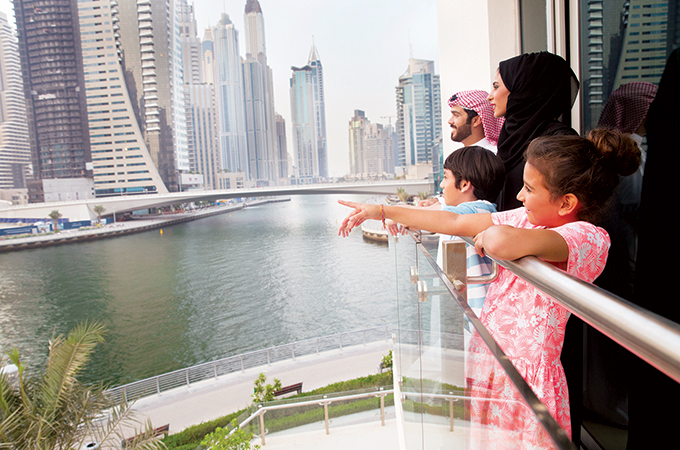 For Muslims traveling abroad, the UAE is the most popular destination worldwide. Germany comes second, followed by Saudi Arabia, Malaysia and Singapore, which makes it the by far most popular destination in Europe. Looking at each continent, over 60 percent of trips abroad by Muslims go to Asia (including the Middle East) and around one-third to Europe. By comparison, trips to Africa, North and South America only have a very small share of the market.